Marilyn SanClemente March 3, 2015 March 3, 2015 Blendabilities Markers, Occasions catalog, Sale-a-bration, Spring, Stampin' Up! Today I have a handmade card that was inspired by two challenges that I saw last week. The colors I used are inspired by a challenge on colourQ and the SUO Challenge for this week is to make a Teen focused card. 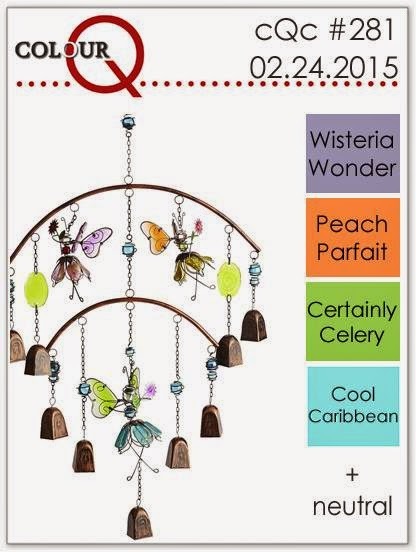 So I used the colors, Coastal Cabana, Wisteria Wonder, Crisp Cantaloupe and Pear Pizazz card stocks which are the current equivalents to the colors listed on the colourQ challenge. As soon as I saw this challenge, I thought of the retired stamp set A Little bit of Magic which I have always loved and fits in with the SUO Challenge theme of a card for a Teen. The card base is made from an 8 1/2″ x 5 1/2″ piece of Coastal Cabana scored at 4 1/4″ . I then added a piece of Pool Party cardstock cut to 4 1/8″x5 3/8″ with a piece of Whisper White cardstock cut to 3 7/8″ x 5 1/8″. This piece of white cardstock has been embossed with the new Spring Flowers Textured Impressions Folder in Occasions catalog. Behind the Fairy image is a 1 1/4″ strip of striped Coastal Cabana designer paper from the Best Year Ever Designer series paper in the Sale-a-bration catalog. I added this piece of designer paper on an angle to highlight the stamped image. 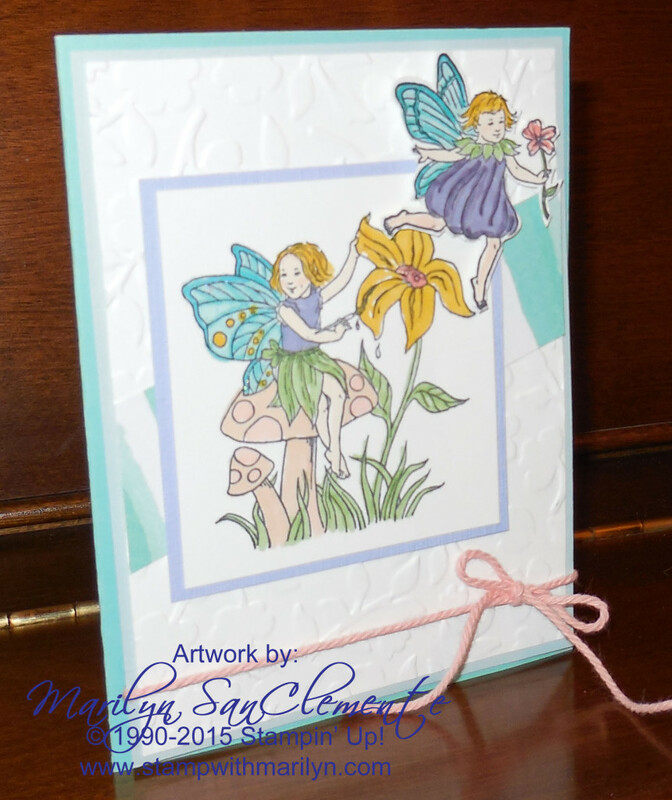 The Fairy image is stamped on a 3″ square of Whisper White cardstock with Momento Black ink. I used the Blendabilities Markers to color in the image. More specifically – Wild Wasabi Blendabilities were used to color in the grass. The mushroom was colored with the Neutral tone Blendabilities markers. The Fairy’s wings were colored with the Coastal Cabana Blendabilities and the Fairie’s dresses were colored with the Wisteria Wonder Blendabilities markers. This image is layered onto a 3 1/8″ square of wisteria wonder cardstock. 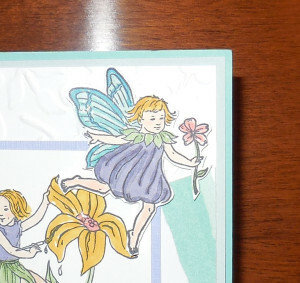 the small Fairy is cutout and attached to the top corner of the card with dimensionals. I added a piece of crisp cantaloupe thick bakers twine to add the touch of crisp cantaloupe to the card. Of course I have to add a little bling. It certainly would not be a Teen card without bling. I used a touch of Dazzling Details to paint the wings of the Fairies. Sale-a-bration is a great time to stock up on the Blendabilities markers. For every $50 in product that you purchase, you can choose a free set of Blendabilities markers!